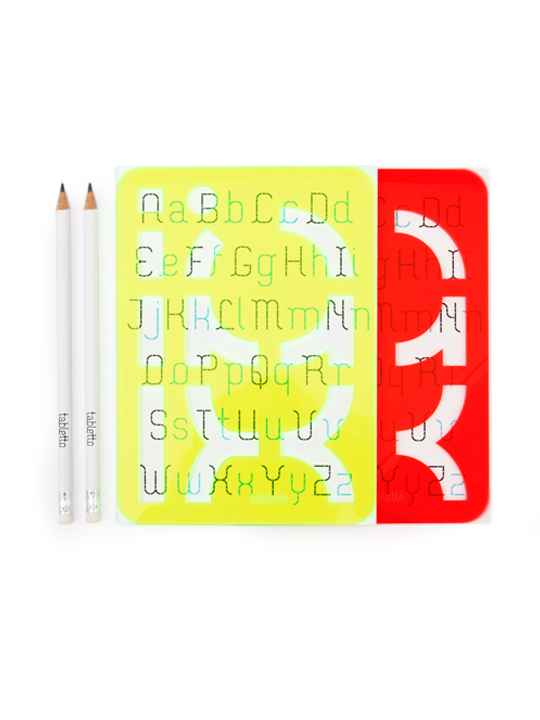 With these fluorescent red and green stencils you can design any letterform, number or punctuation in all languages. 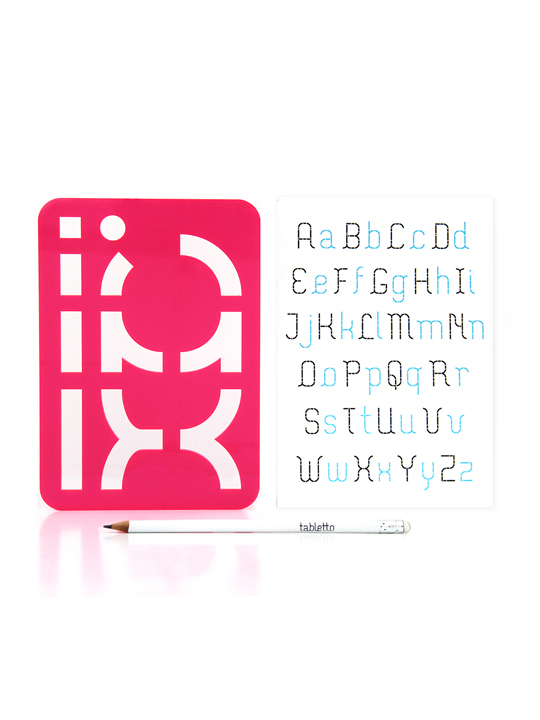 Beside making type, you can use the Tabletto shapes to make illustrations, logos, icons, wherever your inspiration leads. 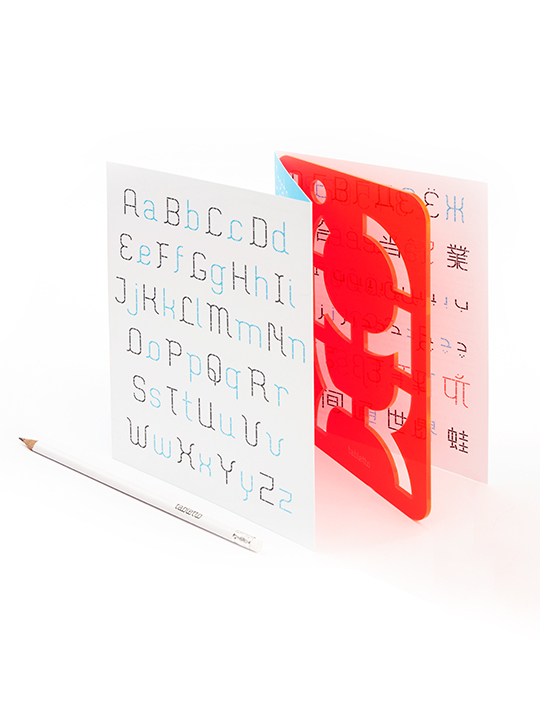 Save 10%! 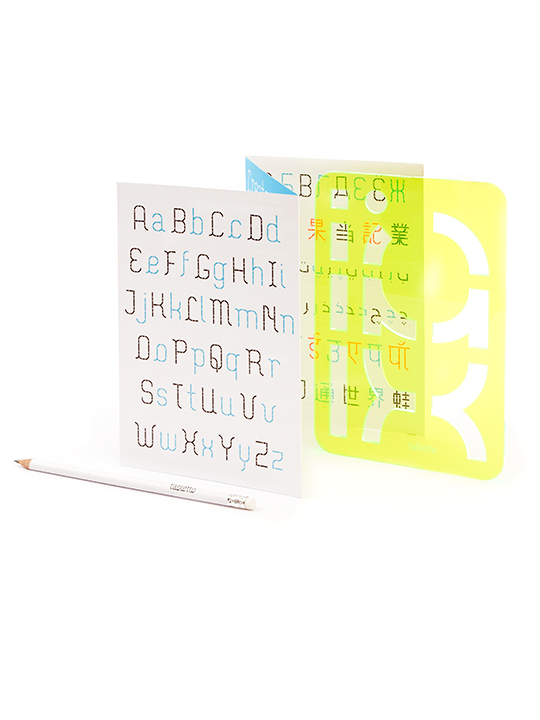 The stencils are packaged separately.